I AM GRATEFUL to all the respondents for their thoughtful engagement with my essay. Part of the challenge I set for myself in writing this piece was to let the stories of individual women make palpable certain political and ethical binds, desires, fantasies, and ideologies regarding reproduction and reproductive justice. These binds, desires, fantasies, and ideologies become especially marked when women are confronted with systemic inequalities such as access to insurance, healthcare, and maternity leave, not to mention concerns about biologized claims to guardianship, physical safety, and bodily integrity. These inequalities, in turn, continue to go unnoticed when reproductive rights become synonymous with an individual woman’s choice not to reproduce, as is the case in much mainstream discourse about reproduction in the Western world. It is a straightforward argument, a familiar argument to some, but not an especially well-rehearsed one. 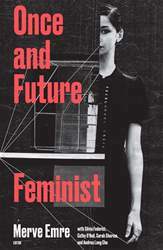 The impetus for my essay was my frustration with how many feminist techno-materialists advocating for universal access to reproductive technologies continue to occlude the gap between the personal and the political that Andrea Long Chu and Irina Aristarkhova discuss in their responses. There was, for me, a marked absence of specific, embodied accounts from these discussions. By contrast, embodiment is admirably modeled as a critical discourse in the writing of feminists of color, most recently in the extraordinary collection of essays Radial Reproductive Justice (2017), edited by Loretta J. Ross, Lynn Roberts, Erika Derkas, Whitney Peoples, and Pamela Bridgewater Toure. Yet in that collection, reproductive technology is presented as fully coextensive with eugenics. I was interested in thinking about how these two strands of thought—feminist technomaterialism and reproductive justice—can be brought into conversation with one another in a way that allows for a maximally inclusive feminism.